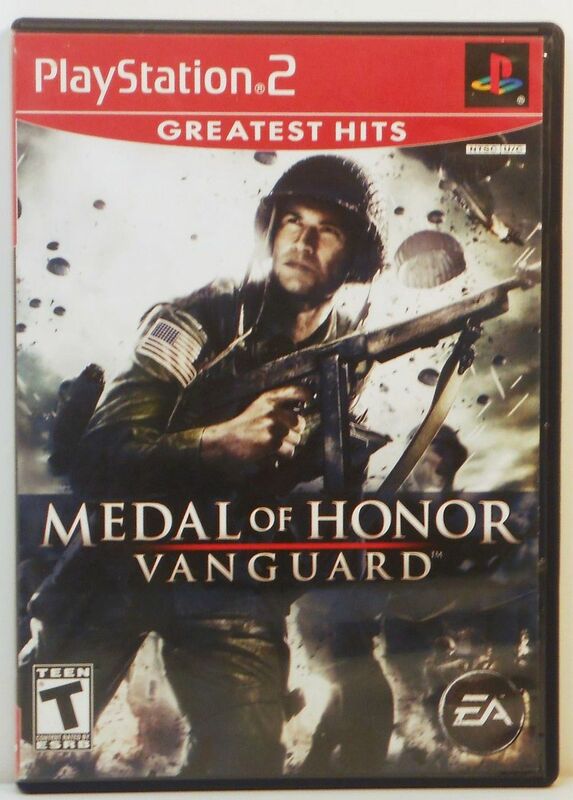 Medal of Honor Vanguard for Playstation 2. Be the world war II American superhero virtually on the Medal of Honor Vanguard game, compatible with PlayStation 2 platform. 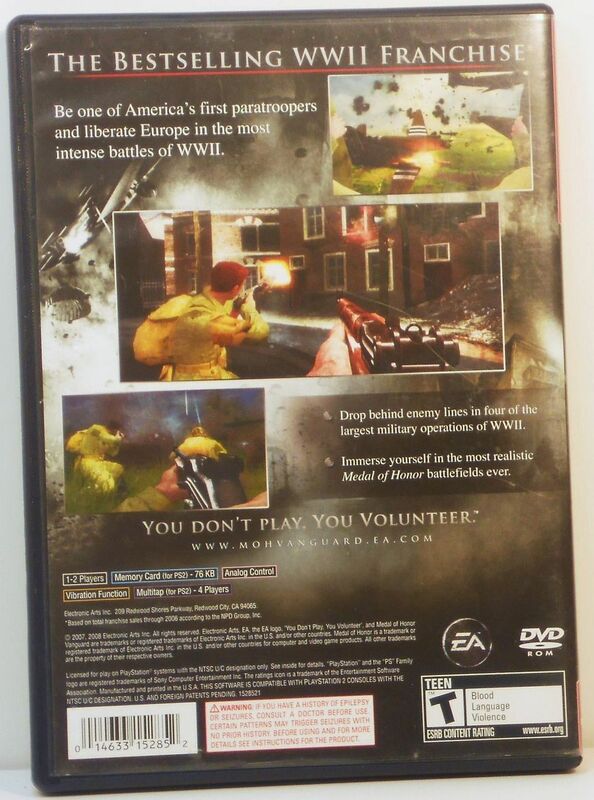 The players of this PlayStation 2 game represent Corporal Frank Keegan from the 82nd Airborne Division. Be the world war II American superhero virtually on the Medal of Honor Vanguard game, compatible with PlayStation 2 platform. 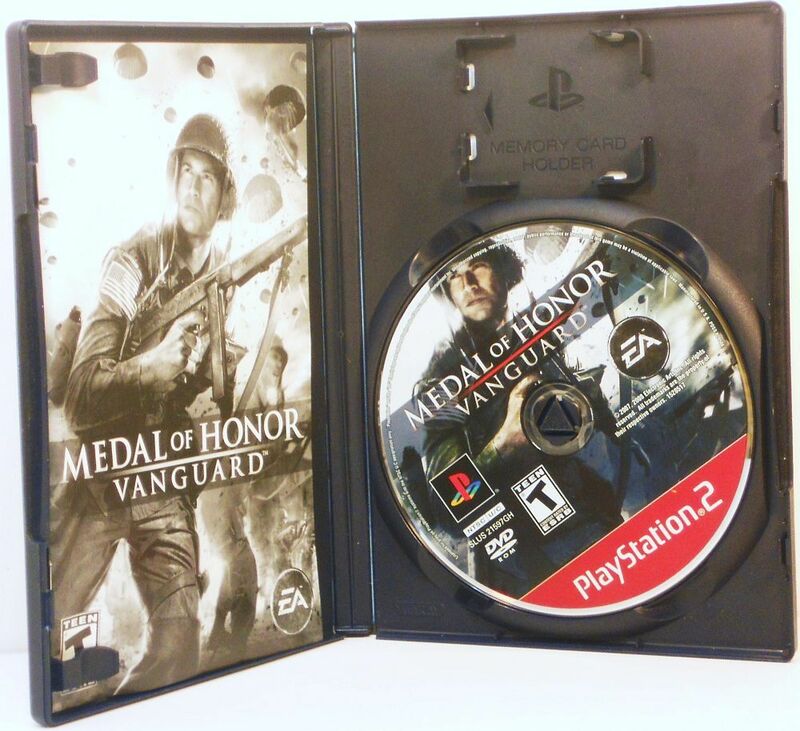 The players of this PlayStation 2 game represent Corporal Frank Keegan from the 82nd Airborne Division. Your mission is to liberate Europe using intense combat strategies and logistics. Pick up your enemies on this first-person shooter game using your sniper rifle or take them head on by storming the Axis defenses. Count on your allies for effective tactical information on this PlayStation 2 game. Switch to multiplayer mode on the PlayStation 2 and hand over the second player wireless game-pad to your friend to complete your mission with ease. Your allies provide the tactical info you need to survive in an explosive and ever-changing war zone! High-Fidelity Visuals - Engage the enemy on the most visually stunning Medal of Honor battlefields to date.